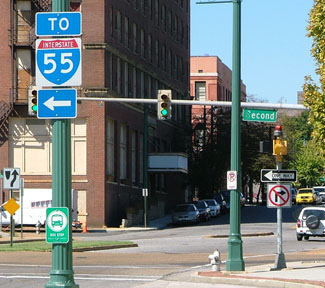 That was at the Turley Street intersection; Danny Thomas is a block ahead. 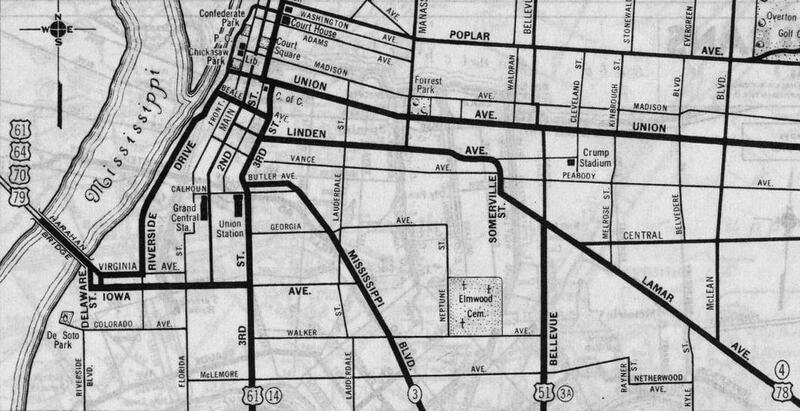 (On the far side of Danny Thomas is the first US 78 assembly that includes an "East" tab.) 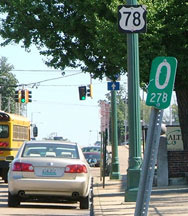 Note also in the foreground the zero mile-marker for TN 278. 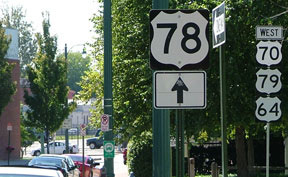 It is doubtful that the route's beginning is exactly there; more likely it begins at the same place US 78 does. 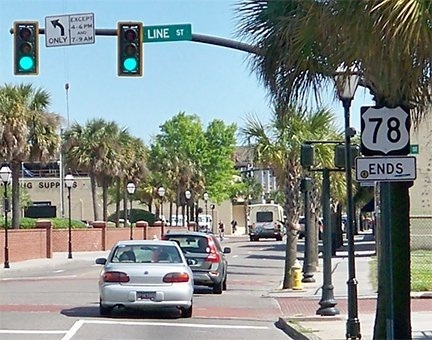 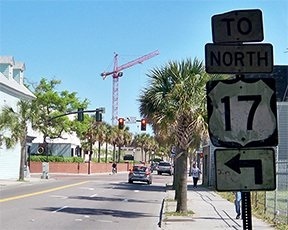 Historically, US 78 continued a block or two past Line, ending at Columbus or Spring during different times (photos and more info on the Charleston page, which includes historic maps of the city). 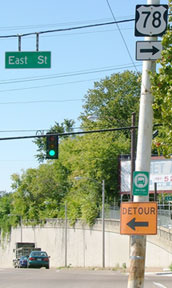 Those were looking north on King at Mt. 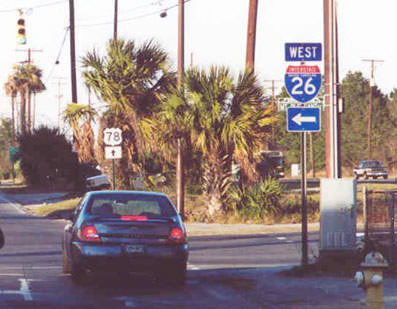 Pleasant Street; cars behind the I-26 assembly are on US 52 (Meeting).